In India, 63 million people (6.3%) suffer from significant auditory loss. It’s also possible to develop hearing loss due to noise. This is true at any age – and it can happen suddenly or over time. Start by talking with your doctor. Your doctor may refer you to a hearing specialist for a hearing test. Hearing loss can be frustrating and even dangerous. 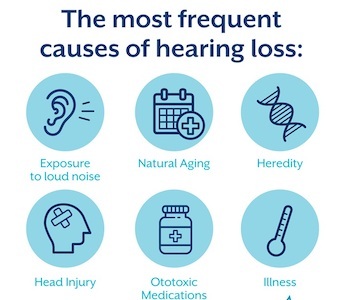 If you have hearing loss, you may have trouble hearing or understanding family members, friends, or coworkers. Do you have trouble hearing the TV or radio when others don't? Take steps to find out if you have hearing loss. Ask your doctor about a hearing test. Loud noises can cause hearing loss – no matter how old you are. Wear earplugs or special earmuffs if you are going to be around loud sounds, like at a construction site or a concert. This can help prevent damage to your hearing.